The Women’s Ministry hosted the “Your Story” Worship Night last Saturday with over 40 women gathering to hear how God has been moving and working in the lives of the women in our church. 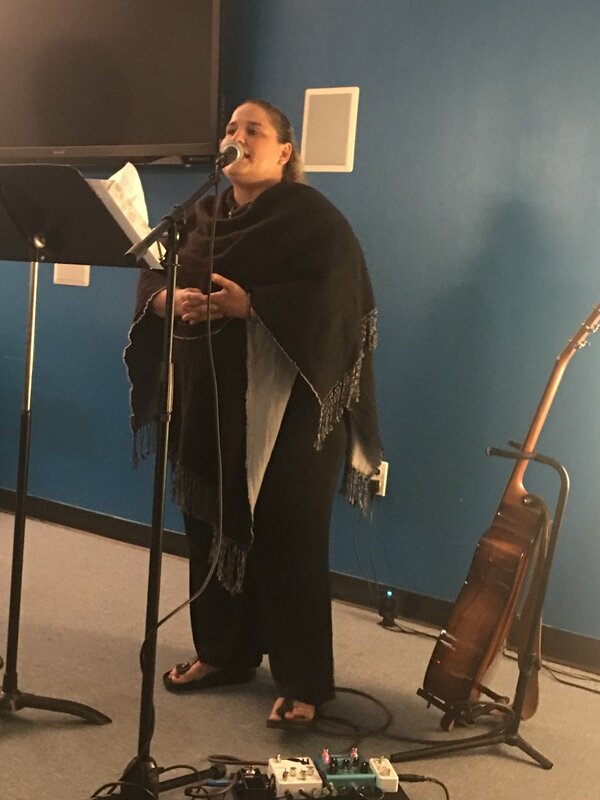 Sonia Kim started the evening off by leading us with worship songs that settled and opened our hearts to hear God speaking through the lives of women we see at church each week, but may never have heard their personal story. Eight women shared their story through words, dance, and singing and it was powerful! So many women with such a heart for the Lord expressed themselves in different ways. Angeline Cazeau shared her poems, Eunah Ahn shared a dance, Glowri Teosoo sang a song a cappella and it was felt through the room! Such talented and gifted women among us. Deborah Berliner, Denise Acias, Helen Yu, and Alexandra Mahari also shared their special message and colored it with their own special flare, showing who they are and even taking a bold step to share even if it was out of their comfort zone. Thank you to all the ladies that shared, your testimony blessed all of us and helped our faith grow. I also shared my testimony. I've been learning in my personal life that the more I share, the less the devil is able to speak lies into my life. God has been doing some things in my heart these past few years, growing and stretching my faith in ways I had never imagined. Here is where I understand when God says “For my thoughts are not your thoughts, neither are your ways my ways” (Is 55:8). I used to try to forget and bury down painful memories and keep it in the dark, but the more I brought my hurts, wounds and memories to the Light, the more God was able to heal, and the more I forgave, the more I was able to heal. This pattern seem to work in other areas as well, the more I gave, the more I received, the more I stepped into the things He asked of me, that was outside my comfort zone, the more He showed me His heart and love for all of His children. Sometimes the things God asks us to do is counter-intuitive, but I began to believe in a God that doesn’t think the way we do, His ways are certainly higher and better. The time afterwards during the refreshment hour was special as well. The night was more than just the testimony and worship - women got to meet other women. We see many faces on Sunday mornings but unless you’re in a more intimate setting it's hard to really make a connection. I saw women making those connections and have real conversations because the testimonies sparked a conversation; many women saying they experienced a similar situation, bonding over common shared experiences. I heard it said a few times that the evening made Metro feel smaller and not so big. There was an atmosphere of true fellowship. Special thanks to Sonia Kim, Helen Kwak and Pastor Doug Cho for beginning and ending the evening in a beautiful time of worship. Yes, there was one exception to the Women’s Worship Night, and we were thankful for Pastor Doug’s help in helping set up the evening and fine tuning the event! For more information or to be added to the mailing list email womens.ministry@emetro.org.